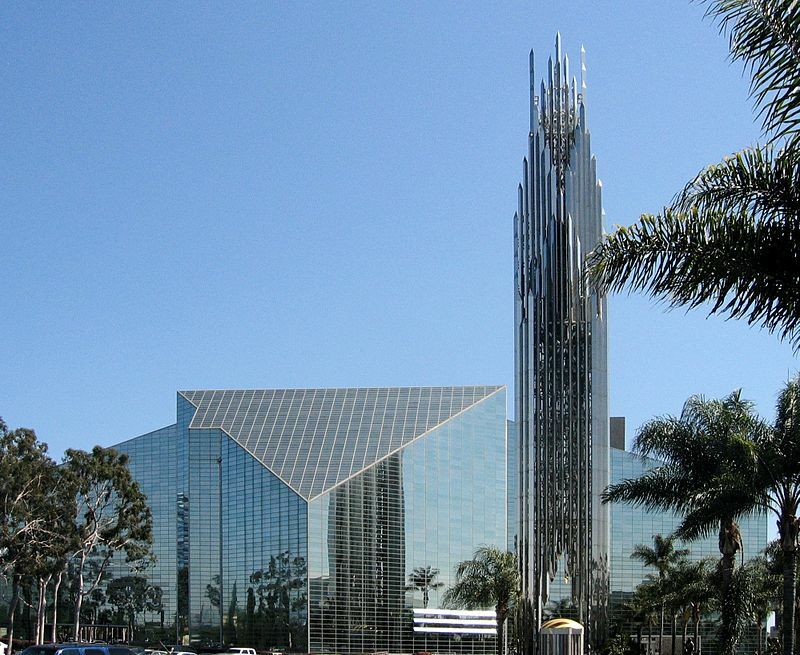 After hearing the news that the Catholic Diocese of Orange in California is investigating making a bid for the struggling Crystal Cathedral, I thought it would be fun to do 7 Glass Churches for 7 Quick Takes this week – churches and chapels that make extensive or prominent use of clear glass, a departure from the usual stained glass look. 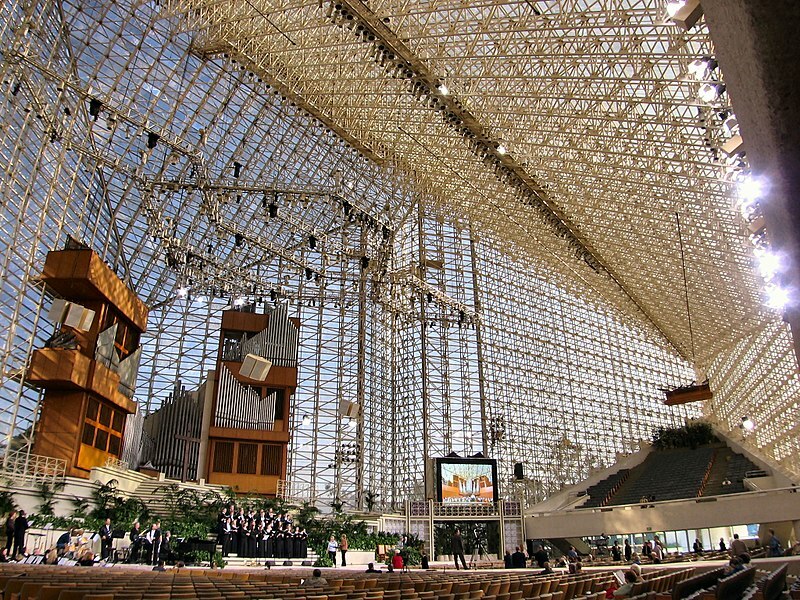 Crystal Cathedral may be best known to people as the home of The Hour of Power, a broadcast of the church’s services that is seen all over the world. Although the word “cathedral” appears in the name of the church, it is in no way an actual cathedral. That being said, the news article linked above indicates that the Orange Diocese may bid on this building in the hopes of turning it into a cathedral – how’s that for irony? The congregation dates back to 1955, when pastor Robert H. Schuller and his wife Arvella started meeting in rented out space from the local drive-in movie theater. Crystal Cathedral was built between 1961 and 1980 in phases; the tower came first, and then the sanctuary. For those of you wondering about how wise it is to build such a large church out of glass in California, well known for its earthquakes, know that the special glue used to hold the glass in place allows this structure to survive earthquakes with a magnitude up to 8.0. 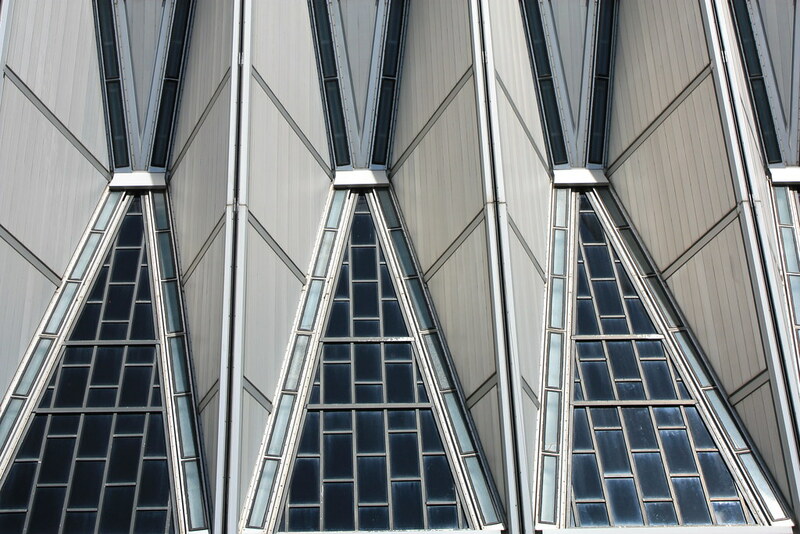 Completed in 1962, Wikipedia says that “Originally controversial in its design, the Cadet Chapel has become a classic and highly regarded example of modernist architecture.” The shell of the building was expensive, with the original design needing to be scaled back to fit in the budget. As a result, most of the items inside of the chapel (organ, adornments, liturgical items, etc) were donated. One of the more intriguing parts of the design is the ability for three different groups to worship simultaneously – Protestant, Jewish, and Catholic. In addition, there are multiple smaller “all-faith” rooms that allow for other religious groups (or groups like Bible study) to have a place to meet. The Protestant level is at the top, with the Catholic and Jewish sections being on the level below, followed by multiple all-faith rooms on the lowest level. There are separate entrance for the Protestant, Jewish and Catholic chapels, allowing these groups to set their schedules independently. There’s quite a bit to read about all the different parts that make this chapel work – I’d highly recommend reading about it on Wikipedia. This chapel certainly isn’t as well-known as any of the others on this list, but it’s a gorgeous little chapel that sits on the campus of my alma mater. Despite a rigorous campus history lesson during freshman orientation, I didn’t know much about the chapel’s background until I wrote this post (or perhaps I just don’t remember much!). I do remember what a wonderful view the chapel offers of the campus though – it’s situated right at the end, by the lake, and overlooks most of the residential part of campus. The chapel was a gift from John R. (class of 1947) and Elizabeth White. Completed in August of 2001, John only lived to see the chapel open for a few months, until he passed away that November. 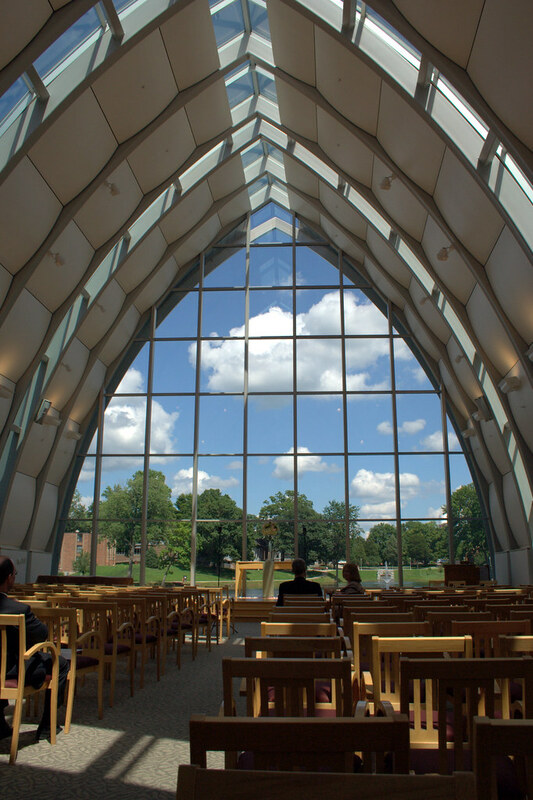 Various religious groups use the chapel from time to time, as well as other campus organizations. I believe I first read about the Thorncrown Chapel on a list of phenomenal architectural icons – right up there with Fallingwater. To give some idea of its importance, the chapel was 20 years old when place on the National Registrar of Historic Places. Buildings are typically required to be at least 50 years old, unless they are exceptionally significant. A retired schoolteacher named Jim Reed commissioned the chapel. Jim owned the land this chapel was built on, and had intended to use it to build a home for himself that would allow him to view the Ozarks. As more people stopped by the admire the property, he felt he should build something there to allow people to appreciate the beauty of nature. 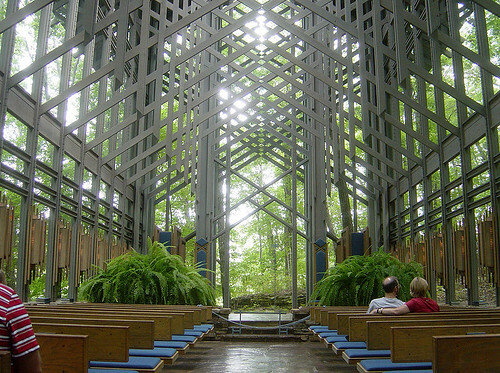 And thus, Thorncrown Chapel was commissioned, being completed in 1980. Although not designed by Frank Lloyd Wright, the design is inspired by some of his past works. 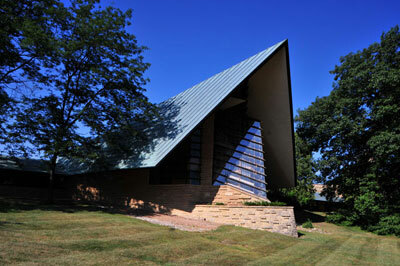 Although the last church was only inspired by Frank Lloyd Wright, this one was his own design. Wright’s family was heavily involved in the Unitarian Universalist movement in Wisconsin, and his father was the secretary for the society. 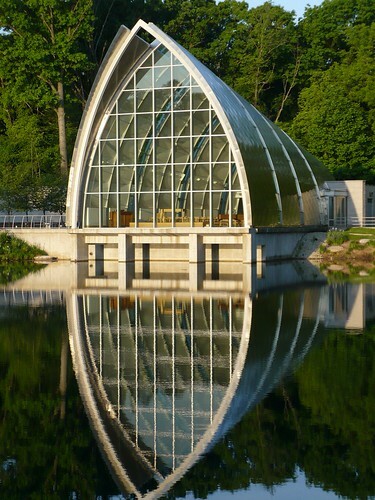 Wright was 78 years old when commissioned to build this church; it was completed in 1951, when he was 84. Like father, like son. 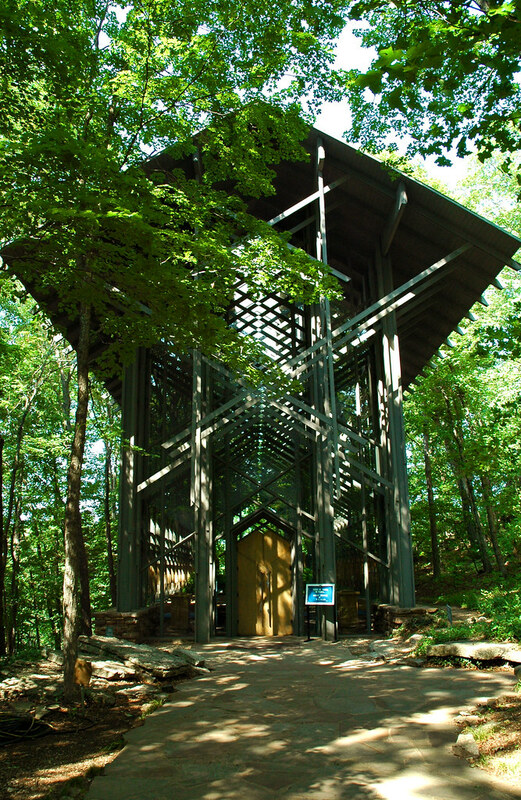 The Wayfarers Chapel was designed by the son of Frank Lloyd Wright, Lloyd Wright, and is aptly nicknamed “The Glass Church”. The Wayfarers Chapel is sponsored by the Swedenborgian Church (you can read about their beliefs here – it’s a little like Mormonism). Elizabeth Schellenberg – a member of the church – had dreamed of opening a chapel overlooking the Pacific. Church members contributed land and resources, and the chapel was eventually completed in 1951. Here’s a minimalist glass chapel in Mexico. Built in the center of a garden, a chapel has been absent from the grounds for years, with many weddings being held under the open sky or temporary canvas roof. 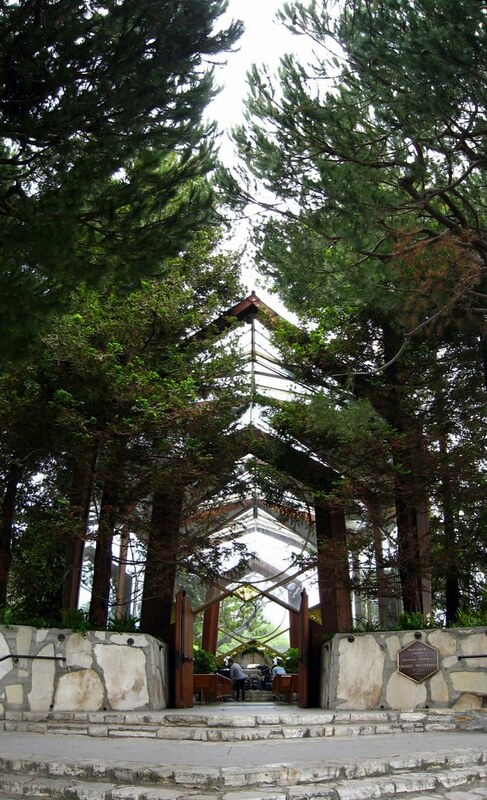 Some point down the road, an architect was planning to get married in the gardens, and the owner – who had been considering adding a small chapel – commissioned him to do it. 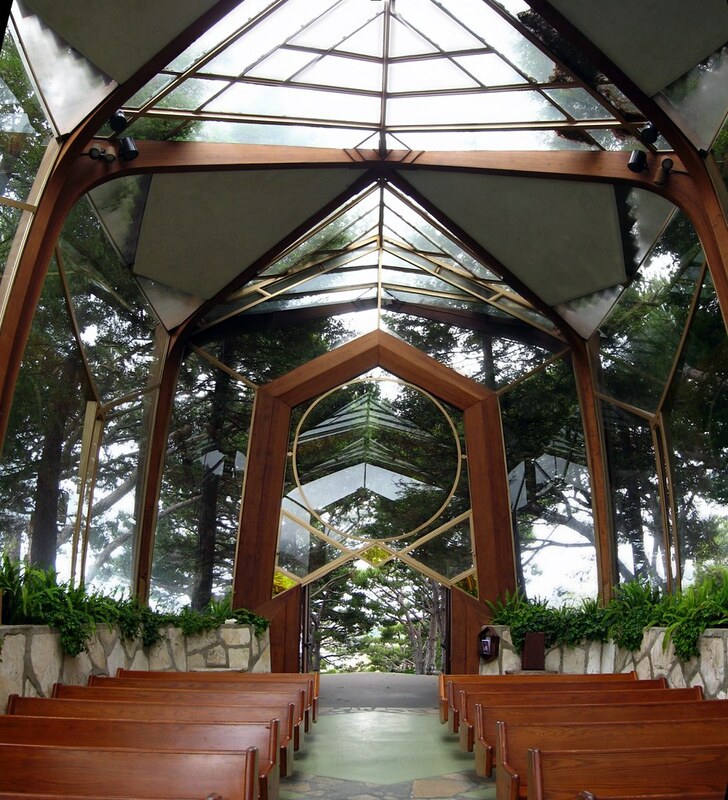 The owner of the land found this to be romantic – an architect building the chapel he will get married in! However, discussions on chapel design were difficult – the owner and the architect conflicted on almost every point. The end result (completed in 2007) reflects the vision of the architectural firm much more than the owner. Anyone have some glass churches (or other religious buildings) they know of? Has anyone visited any of these before? We visited Thorncrown several years ago. It is a lovely place, that’s for sure. 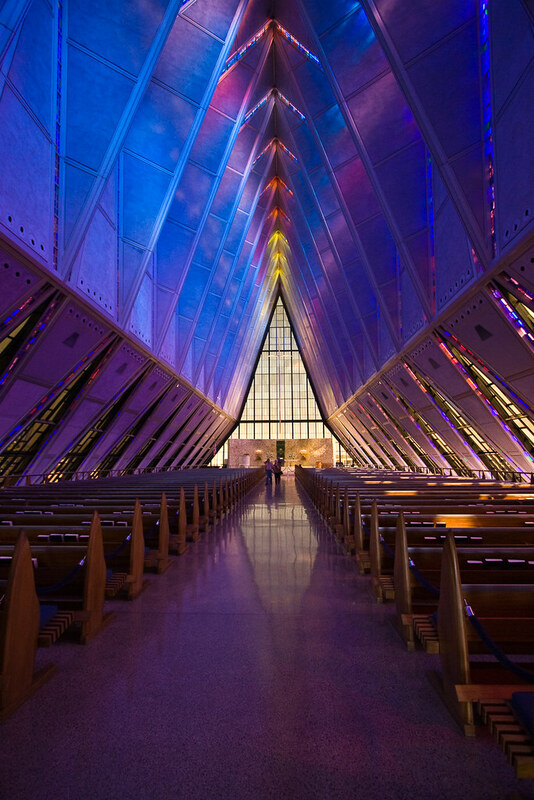 We did not visit the AF Academy chapel, though I wanted to…it was too soon after 9/11 and the security was tight. I knew you were going to post about the Crystal Cathedral! Awesome job. I don’t know how do it. Always fascinating! @Kathleen I’m hoping to visit Thorncrown when I drive from Wisconsin to Texas to visit extended family some day. 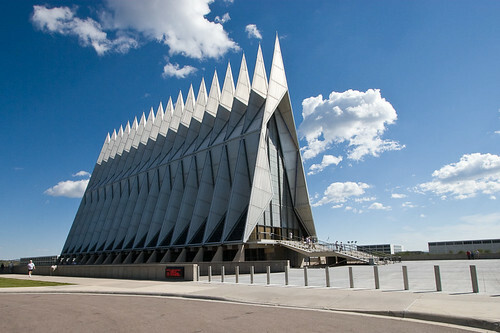 A friend of mine visited the AF Chapel earlier this year – he said it was amazing. I’ll have to make it out there eventually! @Stacy Thanks! I thought this one would be difficult, but it turns out I actually had heard of the first 5 before I started brainstorming for this post. I know just enough about Rose Hulman to be impressed! I had no idea about the chapel. The pictures are just beautiful; I would love to experience the view from the inside! @Anne Aww, thanks for what you said about Rose! I’m rather fond of the school – it’s a wonderful community. I’m hoping to go back some day and do a more thorough photo shoot of the chapel for a post – I’ll be sure to take several pictures from the inside!